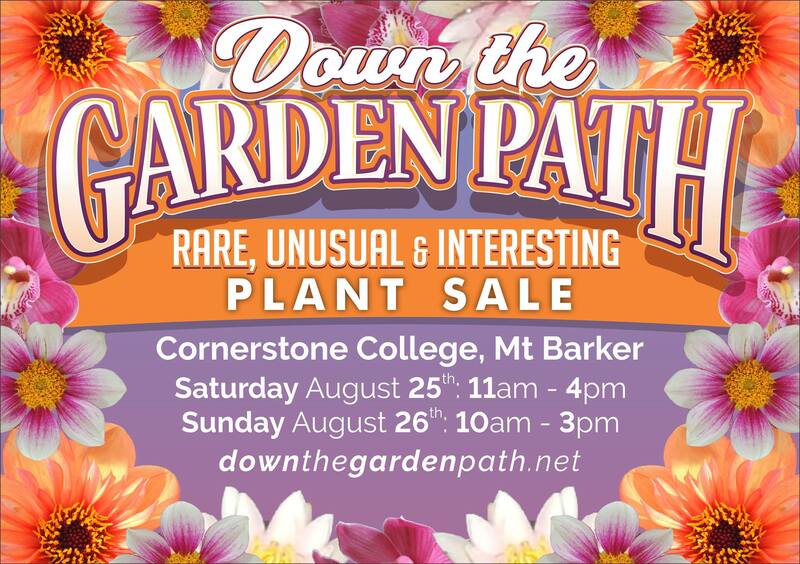 Down the Garden path will be held at Cornerstone College gymnasium in Mt Barker on Sat 25th and Sun 26th August. For sale will be rare and unusual plants for the dedicated gardener with hardly plants for the less experienced gardener. Plus a myriad of other garden equipment and ornaments for the discerning person. Morning/afternoon tea and light lunch will be available. Cost $5pp, which includes 1 free entry into the raffle. Children under 12 free.